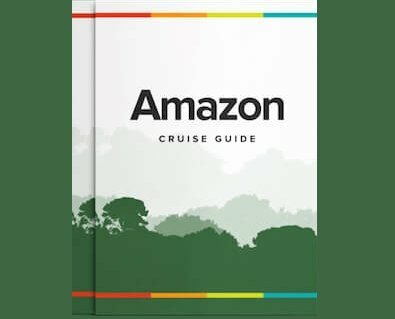 On this exclusive Bolivia cruise, explore hidden corners and rich wildlife unique to this region of the Amazon jungle. Discover the rainforest with your bilingual guides, go canoeing in the rivers, and try your skills at spotting animals hidden in the thick foliage. The itinerary below is dependent on the river water level, weather conditions, wildlife behavior, and accessibility to locations, so may vary. During the dry season (May - Oct) the constant shifting of the sand banks may make it difficult for the Reina de Enin to navigate in the shallow waters. For this reason a compliment of little boats are used, in the case she must remain in other deeper parts of the river. Upon arrival at the airport in Trinidad, we welcome you and make the land transfer to Puerto Varador (16 km / 10 miles west) to board the Queen Enin Flotel. Having settled in to your cabin, we navigate a system of lagoons to the River Mamore, Bolivia's largest. First encounter with the river dolphins escorting us, as we make our progress along the waterways. In the afternoon fishing, swimming in the river and animal watching. The 'Reina' is the starting point for discovering all the different streams and rivers, forests and communities in the area. Side excursions by canoe and on foot for great wildlife viewing: several species of monkeys, turtles and pink river dolphins, rheas, anteaters, sloths, capybaras, caimans. Amazonian birdlife includes harpy eagles, several species of parrots and macaws, horned screamers, egrets, and numerous other birds including the extremely rare Blue-Throated Macaw. Go piranha fishing! Most of the action is on the river banks and we guarantee many great sightings and unique photo opportunities. Meet Mojeña and Yurakare people who make a living from the sustainable use of the rainforest. Participate in daily activities of the community as you hike in the forest, with numerous opportunities to see mammals and birdlife. The Reina de Enín project has trails through open forest, closed rainforest and open-pampas, as well as a number of canoe excursions. The guides are very experienced with wildlife, trees and plants. Experience the daily life and learn about the cultural richness of the indigenous people, take part in their daily activities and learn about their artisan crafts. This morning, we visit Chuchini, a bird sanctuary and private protected area, where we can see the dawn chorus of hundreds of macaws and parrots. Our last day’s sailing takes us up the Ibare River to the port of Loma Suarez, from where you are transported to Trinidad airport, for your flight to La Paz, or elsewhere.